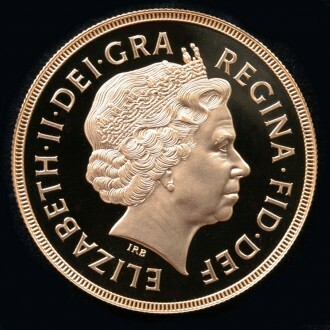 The sovereign is a gold coin of the United Kingdom, with a nominal value of one pound sterling but in practice used as a bullion coin. Named after the English gold sovereign, last minted in 1604, the name was revived with the Great Recoinage of 1816. Minting these new sovereigns began in 1817. The gold content was fixed by the coin act of 1816 at 1320/5607 (0.235420) troy ounces , nearly equivalent to 113 grains. 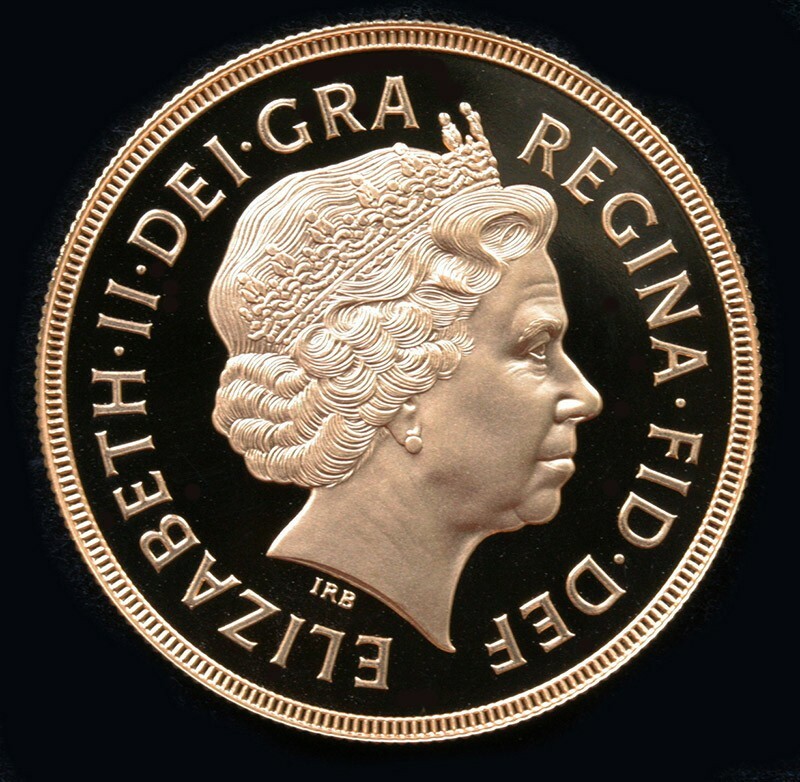 The initial reverse type for gold coins was the shield and crown motif, supplemented on the sovereign with a heraldic wreath. This was succeeded by a portrayal of Saint George killing a dragon, engraved by Benedetto Pistrucci, which remains to this day.